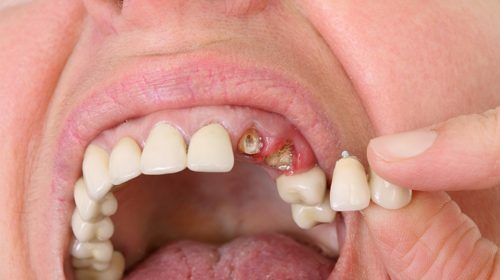 When left untreated, the consequences of gum disease can become irreversible. Now, a new procedure could treat the problem. In a new study, scientists have been able to combine biological and mechanical techniques to repair and regenerate bone and gum tissue. Long-standing gum disease often turns into periodontal disease, affecting the tissues supporting the teeth. As the disease gets worse, the bone anchoring the teeth in the jaw wears away and tooth loss occurs. Dr Nigel Carter OBE, Chief Executive of the Oral Health Foundation, describes the impact of tooth loss and believes the research could be extremely promising: “Millions of people across the world lose teeth from periodontitis and it can have severe bearing on everyday life. Missing teeth can make eating, smiling and speaking more difficult. It can also have an impact on our confidence and mental well-being, as well as increase the risk of developing general health problems.